Israel’s parliament voted on Sunday to advance a bill that cuts subsidies to cultural organizations deemed not “loyal” to the state, the country’s culture minister said. The proposed legislation, denounced by artists and freedom of speech activists, was proposed by far-right Israeli Culture Minister Miri Regev. The bill must pass three votes in parliament before it can become law. The bill would give Israel’s finance and culture ministries the power to slash subsidies for any institution that challenges Israel’s existence as a Jewish state or eschews celebrating the creation of the state in 1948. For Palestinians, the anniversary marks the Nakba, or “catastrophe”, when more than 700,000 fled or were expelled during Israel’s creation in 1948. The draft law would also see funding cut over work that attacks the state flag. 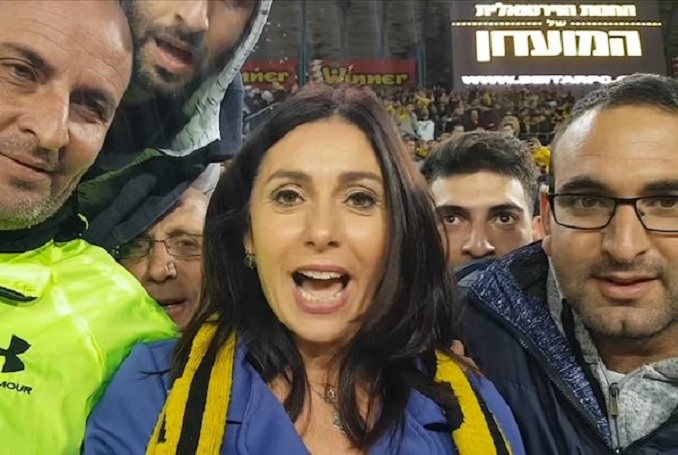 Regev, a member of Israel’s ruling right-wing Likud party, is no stranger to controversy and has repeatedly clashed with the country’s largely left-leaning cultural elite. Last year she slammed the Israeli drama “Foxtrot”, which won the Venice Film Festival’s second highest prize, for spreading untruths about the Israeli army. Be the first to comment on "Israel Advances Controversial Bill Tying Cultural Funding to ‘Loyalty’ (VIDEO) #Palestine #GroupPalestine #israelTerrorists #boycottIsrael"